Seed investments are booming. According to Crunchbase data, the number of seed rounds in US companies has grown by 10x in 6 years from 200 per year to more than 2,200 in 2013. This is driven by the expansion of the institutional seed investor and the tripling of seed stage capital available to founders. With all that capital entering the market, seed round sizes have also increased. 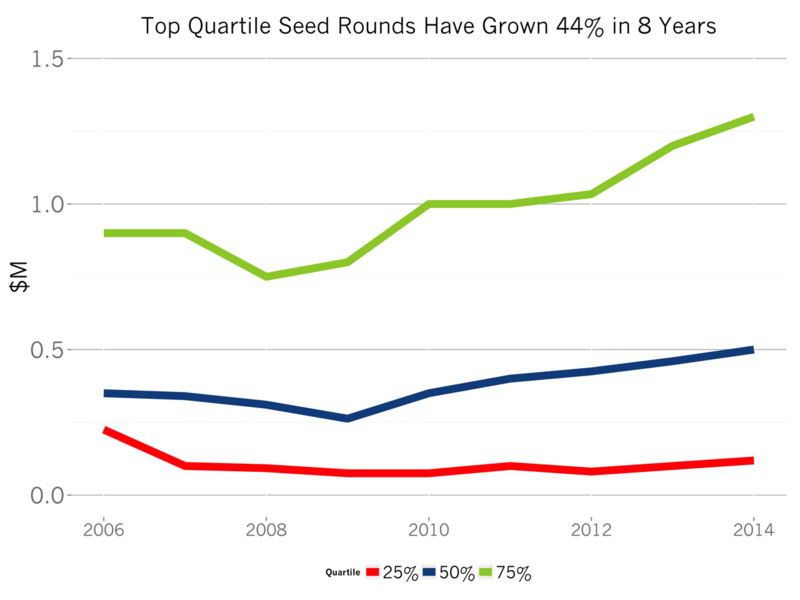 The top quartile seed rounds have expanded by 44% in 8 years, and by 75% since 2008. The 75% percentile seed round in 2014 totals $1.3M. Coincidentally, this seed round size maximizes a seed stage’s company odds of a follow-on Series A. 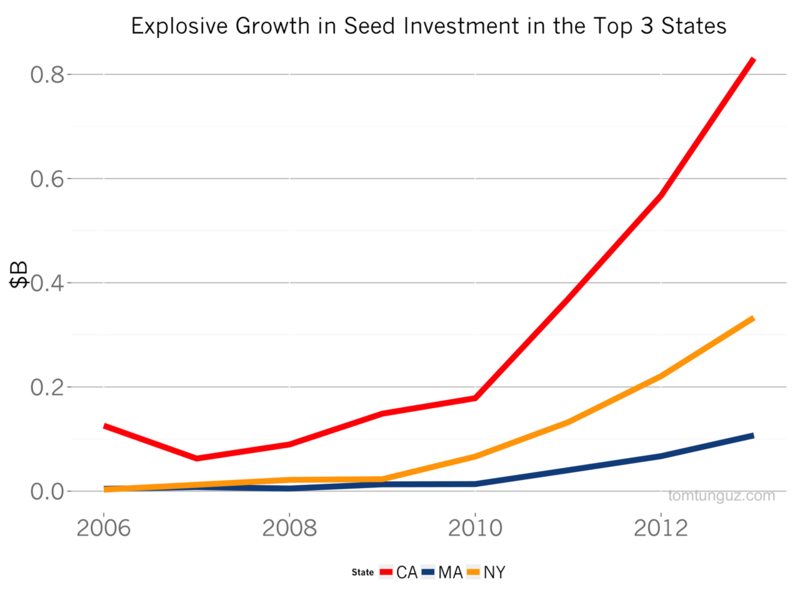 The expansion in seed investments spans the top 3 states for venture capital (CA, MA, and NY), which collectively account for 70% of seed investment dollars raised. 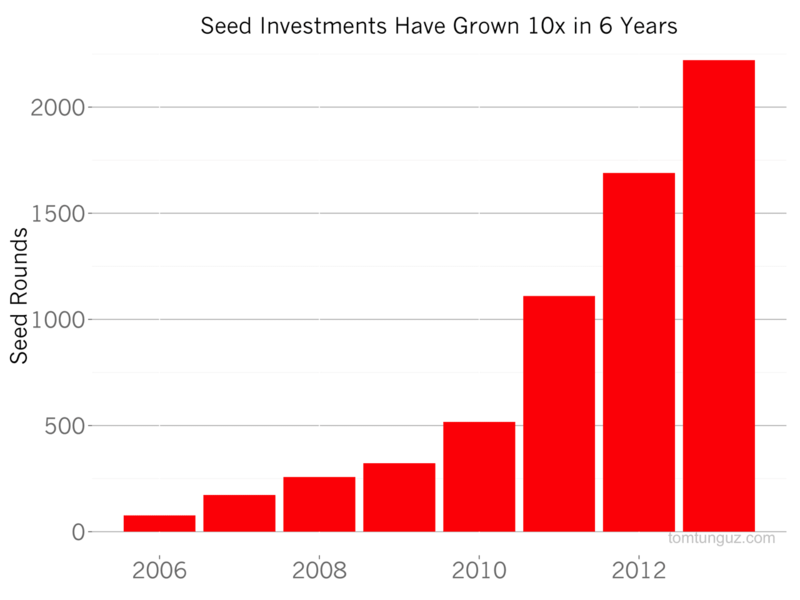 Today, Californian seed-stage startups raise 8.2x as much in aggregate as they did in 2008. Massachusetts startups have increased their seed investment by 20x and NYC companies have raised more than 14x more seed dollars. Capital is plentiful. Startup infrastructure costs continue to plummet App stores and other novel channels of distribution are flourishing. At this point, a startup’s most challenging task, aside from finding the right idea, is recruiting and retaining a great team. But if you needed another push to found a startup, just take a look at the data.